Over the past decade, the House Science Committee has called more industry witnesses and fewer independent scientists to its hearings. The House Committee on Science, Space and Technology (often shortened to "House Science Committee") has historically been known both for its strong reliance on science in decision making and for its bipartisanship. But a 2014 analysis by the Center for Science and Democracy at the Union of Concerned Scientists shows that both of these qualities have been eroded in recent years. The committee is hearing from more corporate witnesses and fewer independent scientists, while hearings have been devoted more to scrutiny of the executive branch and less to consideration of science-related policy issues or proposed legislative solutions. There has been a sharp increase in the percentage of committee witnesses with industry affiliations under both parties over the past 12 years. 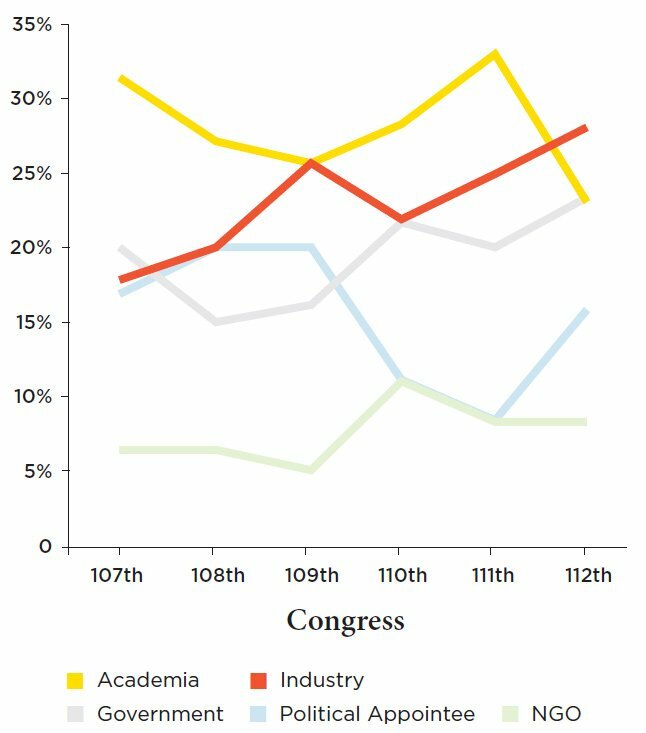 In the 112th Congress, for the first time, industry witnesses outnumbered all other types of witnesses, while the percentage of independent academic experts dropped to its lowest level. In short, the committee that should care most about science has increasingly sidelined science in its own hearings. The increasing partisanship that has plagued Washington in recent years is apparent in the steady increase over the study period in the percentage of "oversight" hearings, which are designed primarily to take aim at the administration and federal agencies rather than to address substantive science policy issues. 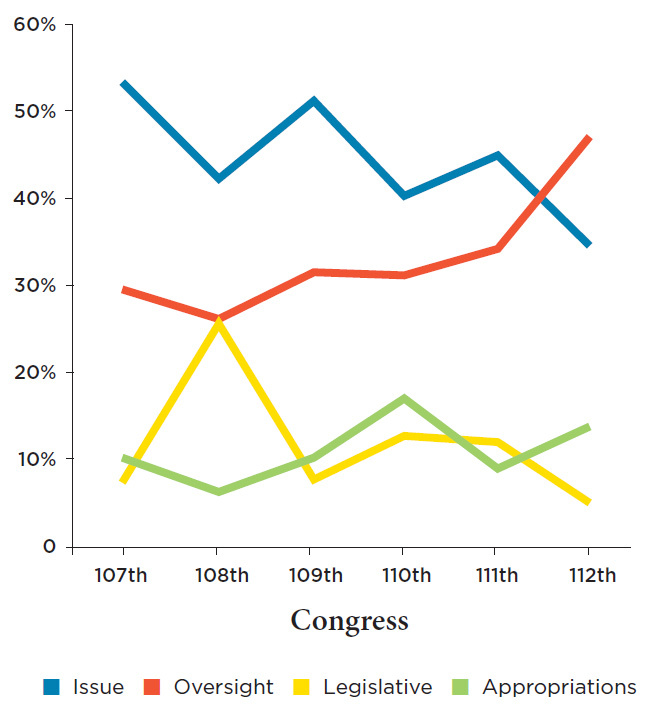 The study further shows that this tendency for oversight hearings to replace policy and legislation hearings has been strongest when Congress and the White House are held by different parties. Increase its use of independent expert witnesses, who tend not to represent special interests, and reduce its reliance on industry witnesses who may have a conflict of interest. Require witnesses to disclose any conflicts of interest that could influence the testimony they present. Such disclosures could help to distinguish between independent scientific advice and views that drive a special-interest agenda. Bring greater balance to the types of hearings held, in order to more fully explore issues, enhance understanding, inform decision making and legislation, and convey accurate information to the public. In particular, the committee will best fulfill its mandate by focusing on science and technical issues and reliable evidence.